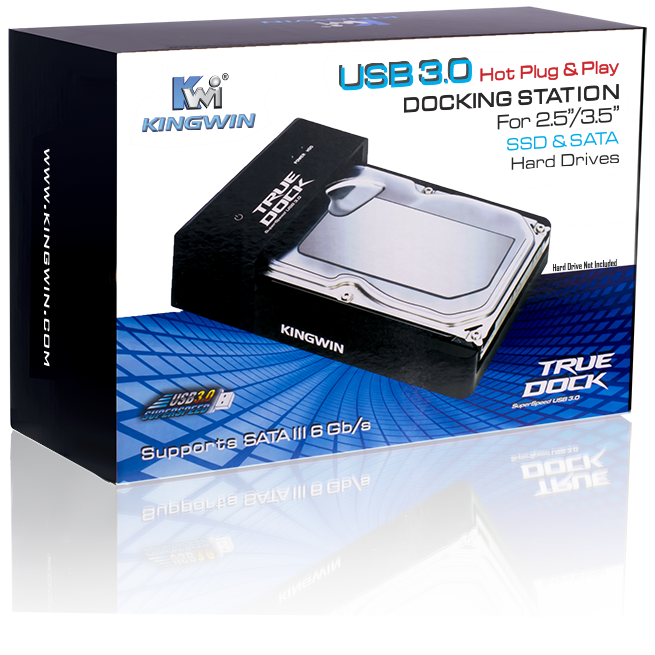 Docking Station TD-2535U3 | KWI Technology Inc.
Kingwin introduces the True Dock Super-Speed USB 3.0 to SATA HDD/SSD Lay-Flat Docking Station. 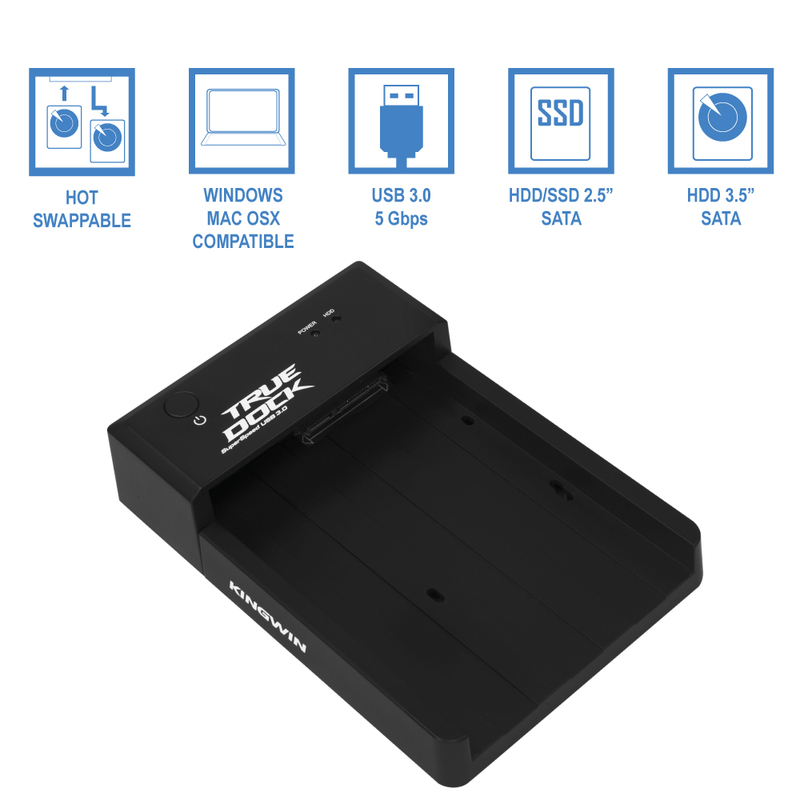 This unique single-bay and tool-less docking station boasts a 10X faster USB speed; allowing easy slide insertion and hot-swap of any 2.5” or 3.5” SATA HDD or SSD. 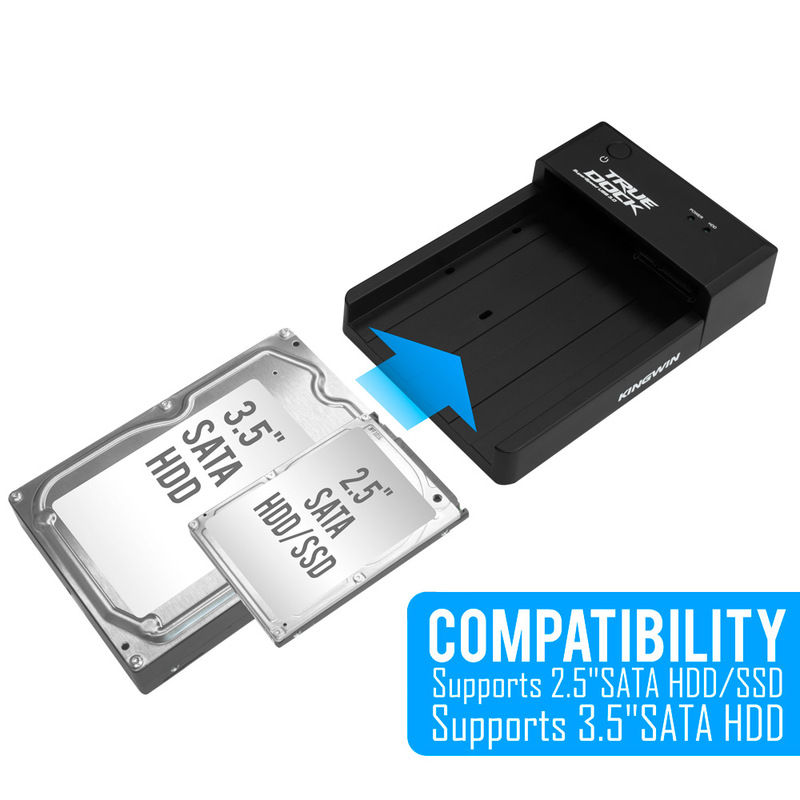 Easily slide and insert any single 2.5” or 3.5” SATA interface bare drive and connect to the USB 3.0 or 2.0 port of your computer for extra data storage. 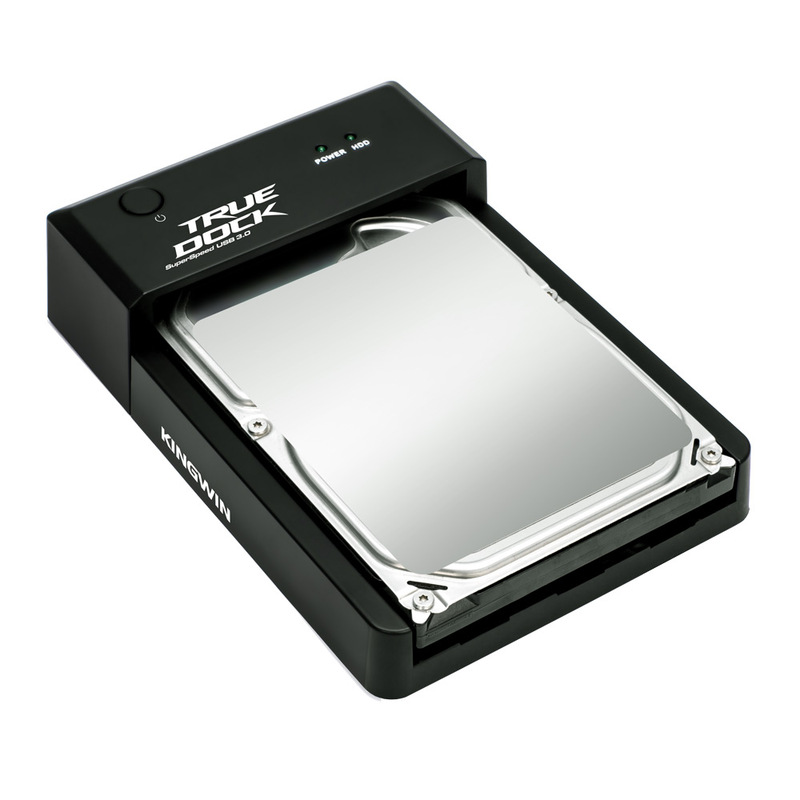 Supports SATA I, II, and III hard disk drives, solid state drives, and hybrid drives up to 6TB capacity. 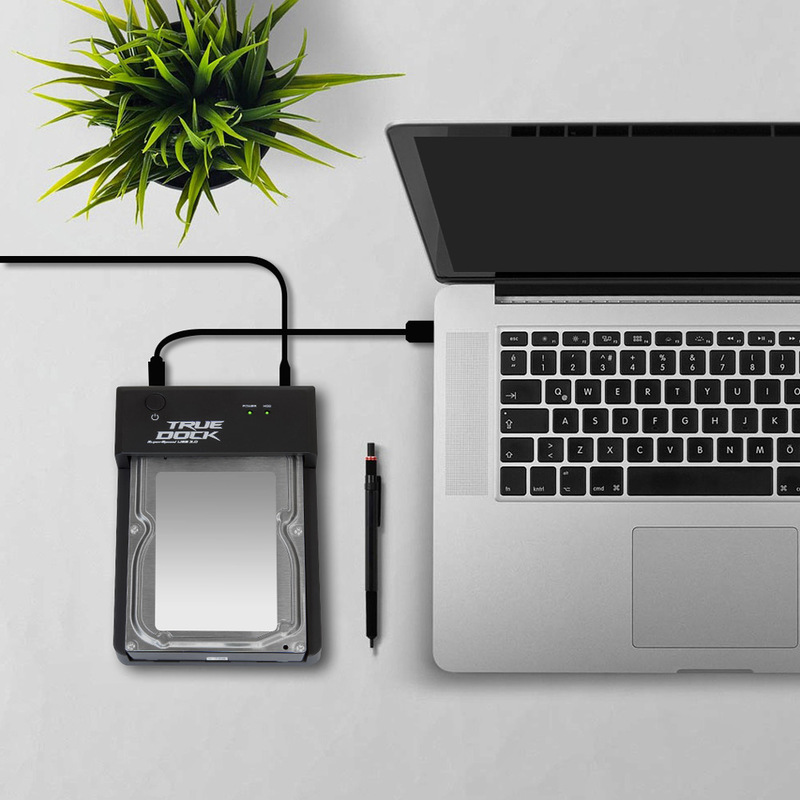 No driver installation needed. 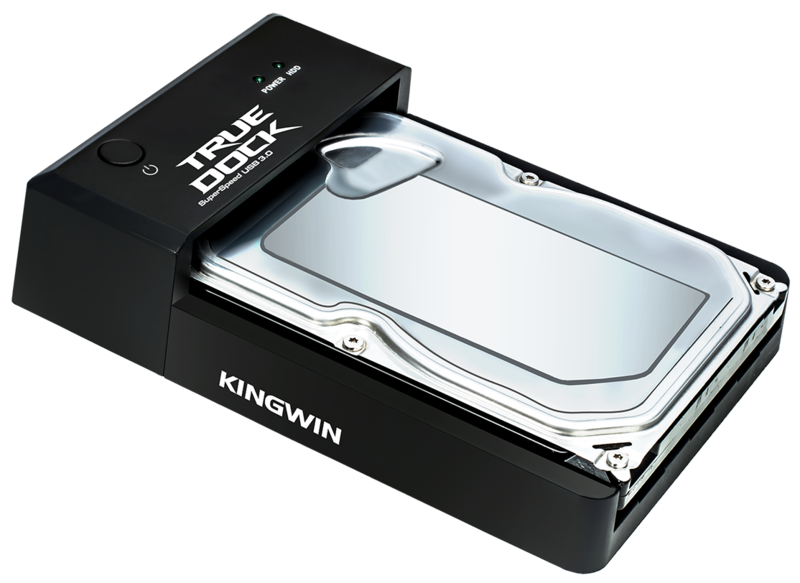 The Kingwin True Dock comes in a sleek black color design with convenient and easy to find power button, power LED, and HDD LED. 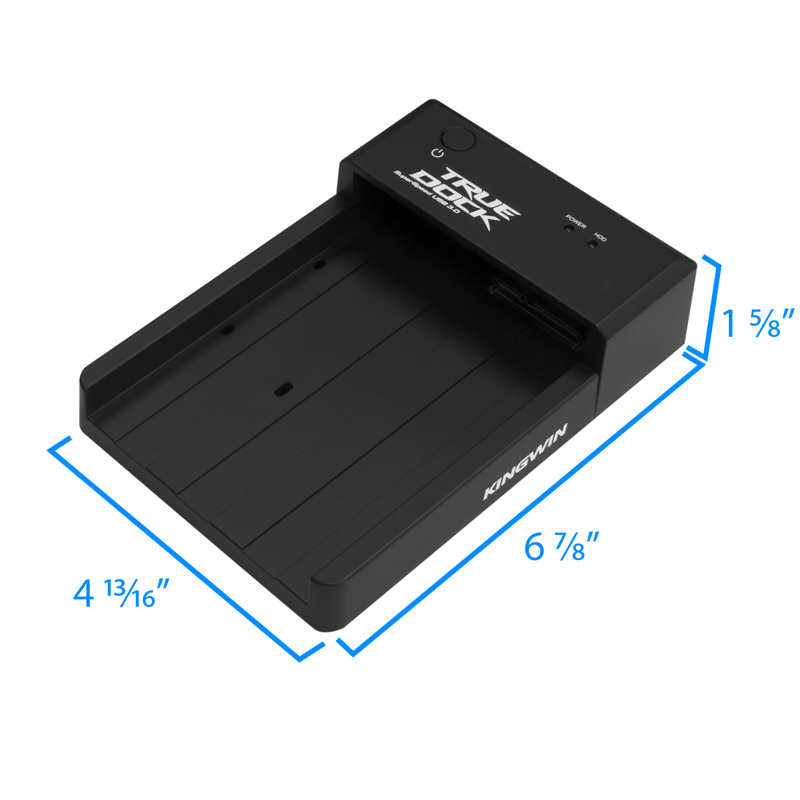 The True Dock is your true portable solution that offers excellent performance and great value for your money. 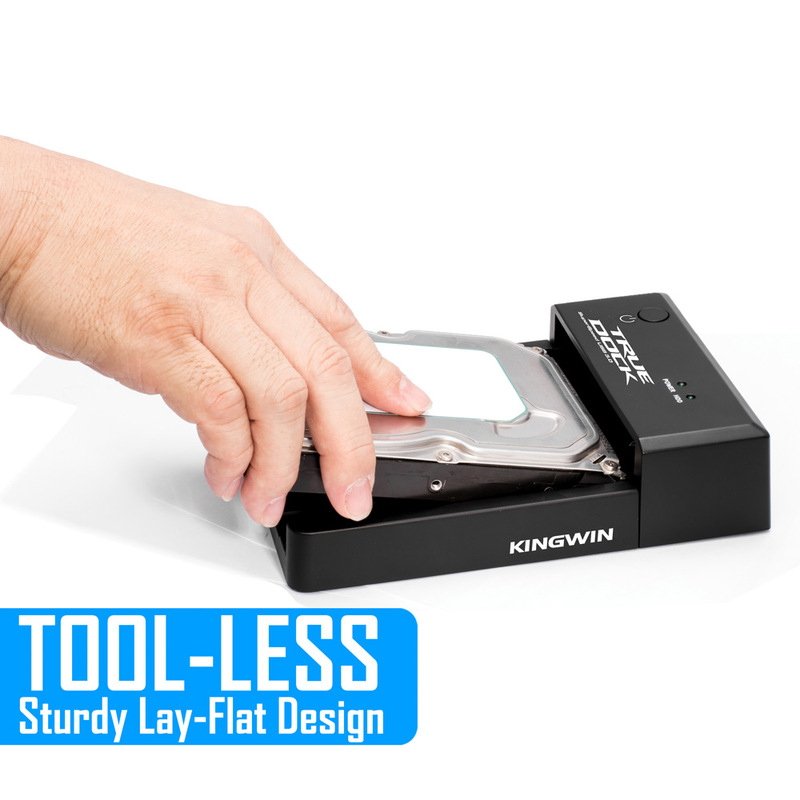 Convenient tool-less and lay-flat design allows easy and safe insertion and removal of SATA drives. 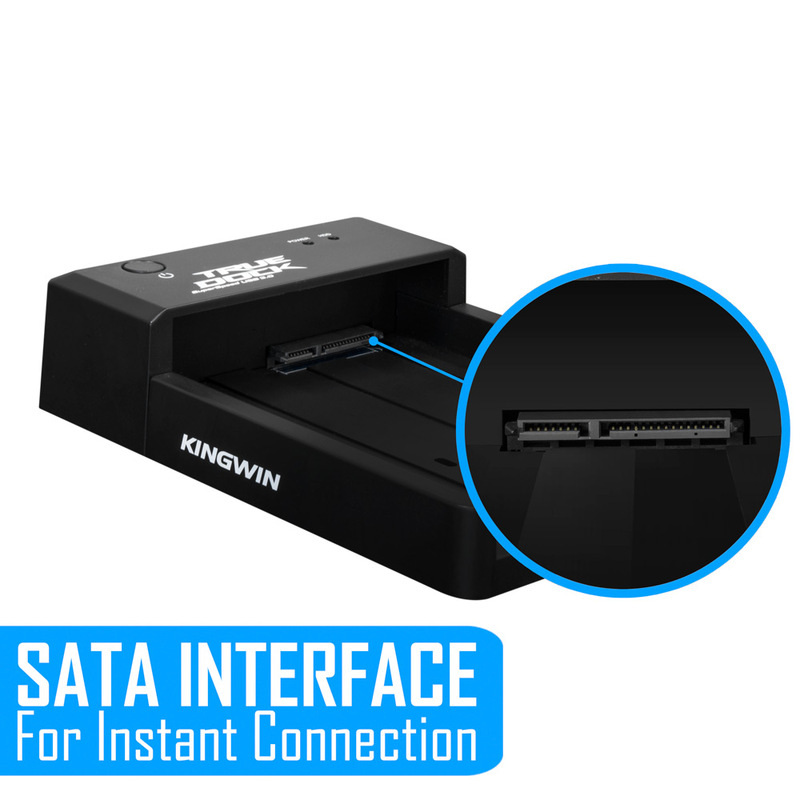 No SATA cables and connectors needed. 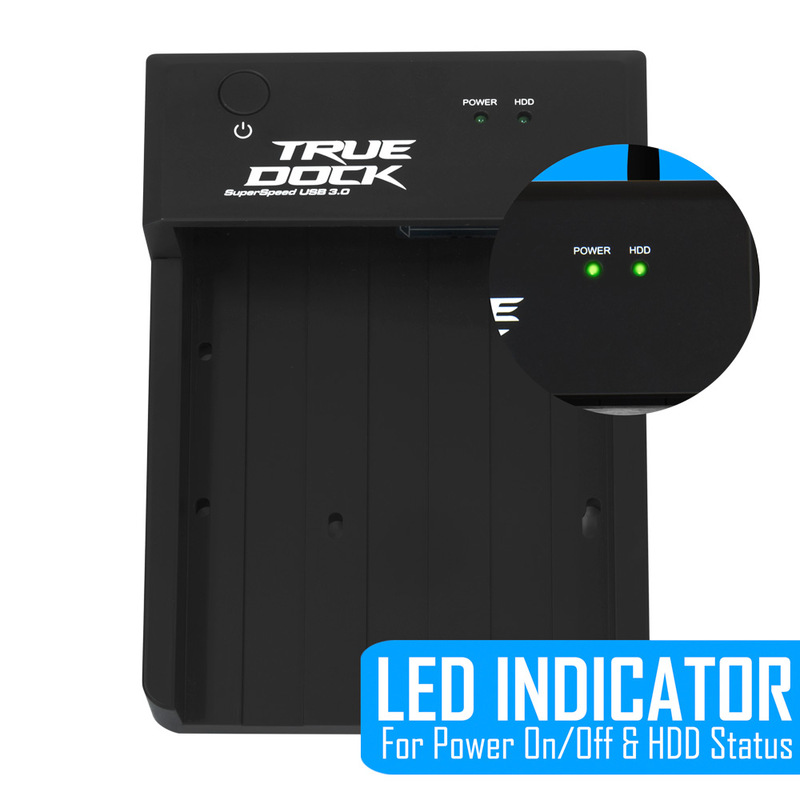 Supports SATA hotswap and USB Plug-and-Play capabilities without the need to power off the docking station or the computer. 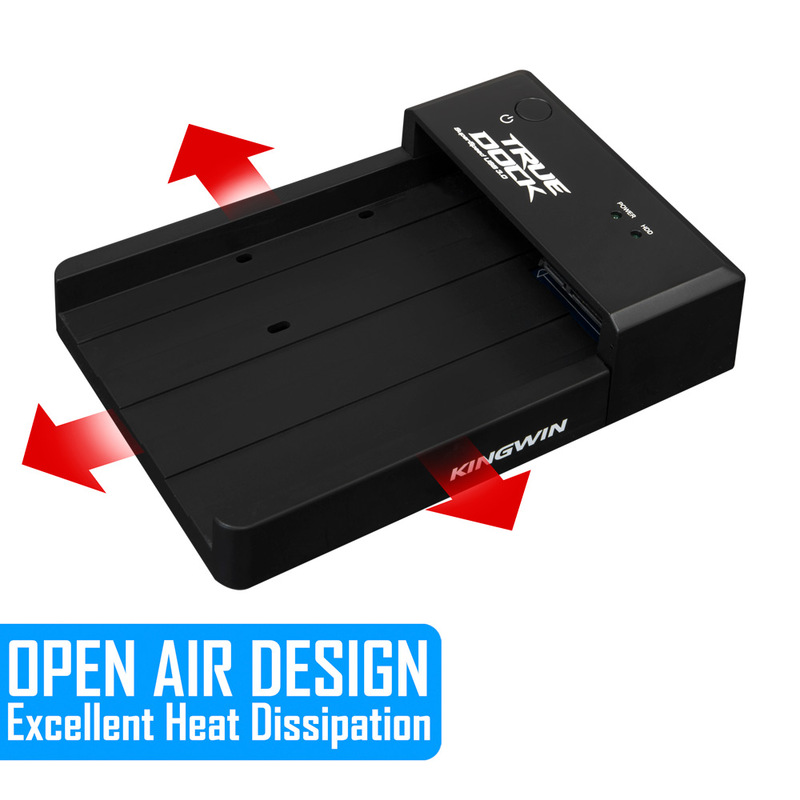 Sturdy ABS plastic construction with protrusion base design provides stability and effective airflow. 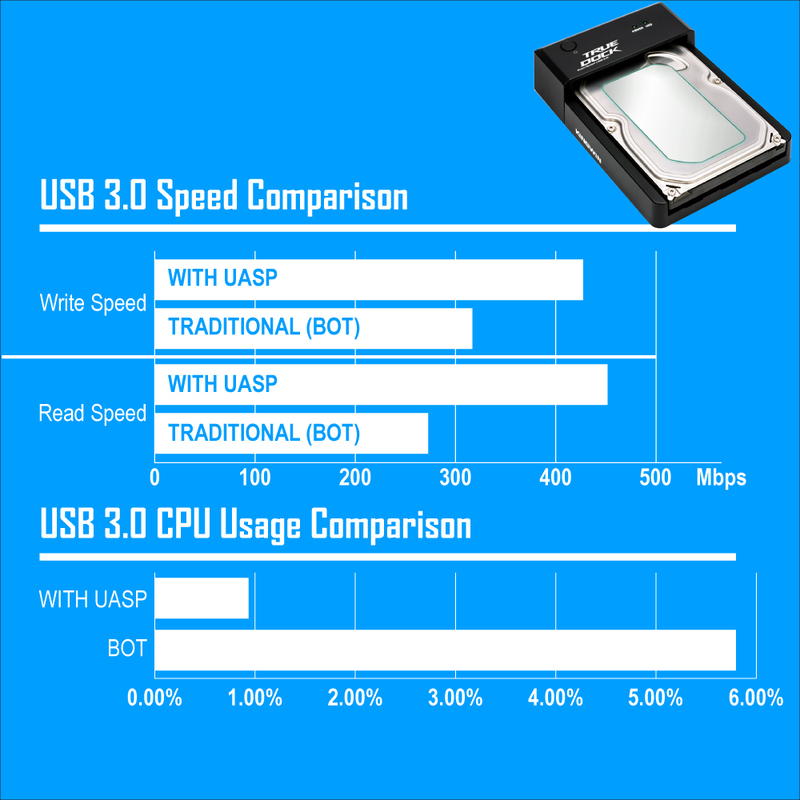 Faster USB 3.0 Speed with UASP Support Super-Speed USB 3.0 offers 10X faster performance with data transfer bandwidth of up to 5Gbps compared to Hi-Speed USB 2.0. 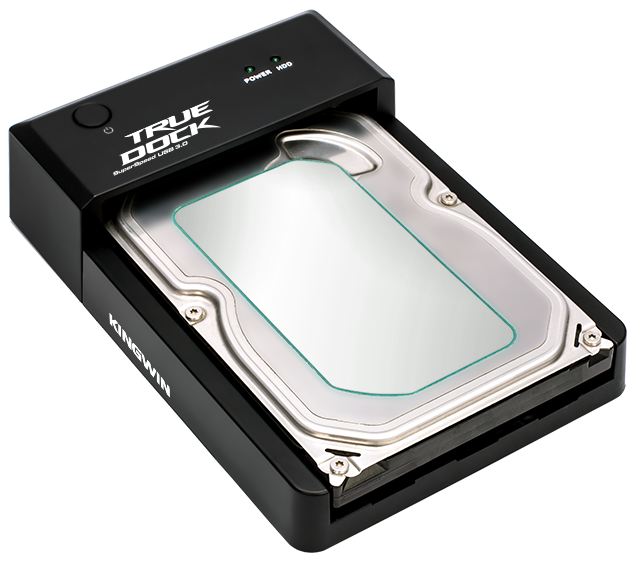 The True Dock also includes UASP support that allows even faster data transfer rate over traditional USB 3.0. 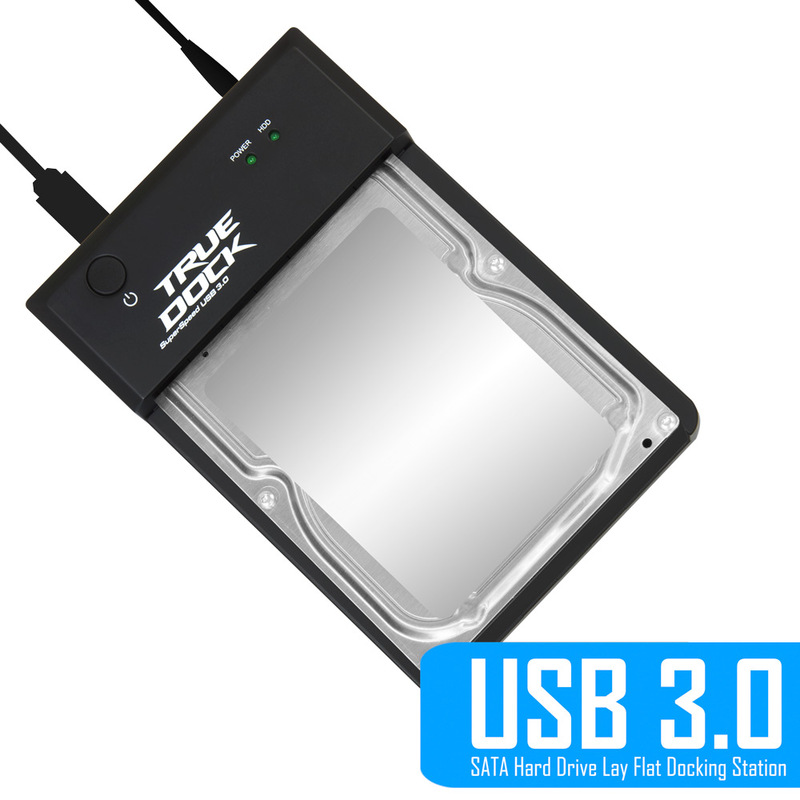 Compatible with Windows, Mac, and Linux OS with no driver installation needed. 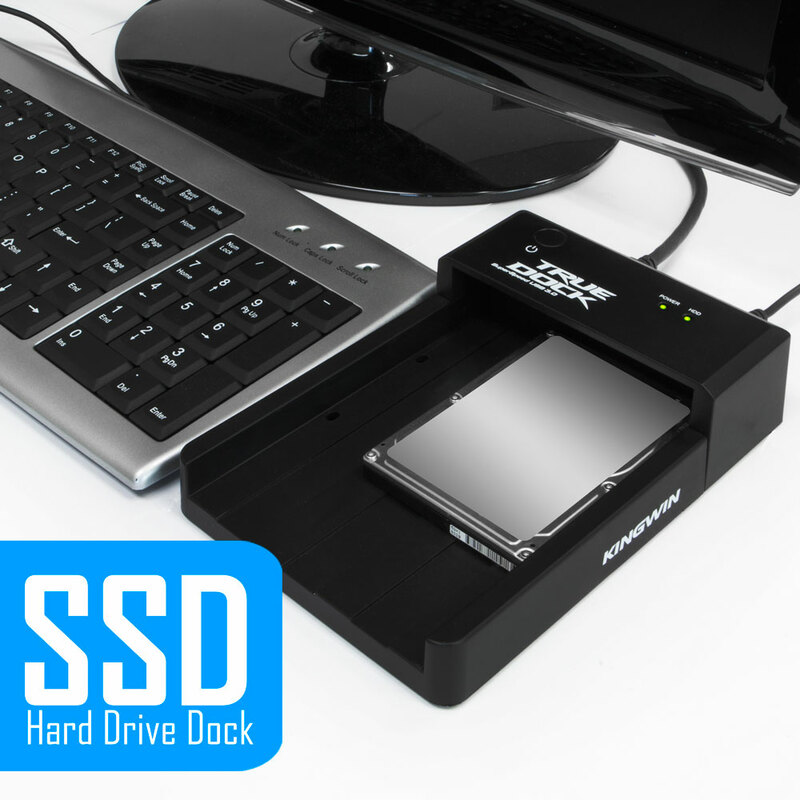 NOTE: UASP function requires UASP-capable host controller and operating system like Windows 8.